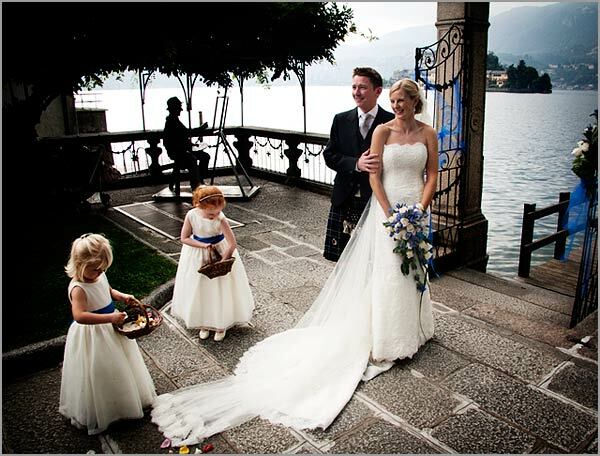 Today is Friday 17th and weddings do not stop on Lake Orta! This afternoon is the turn of Nicole and Euan. Nicole is Australian and Euan is Scottish. They decided not to care about Italian superstition of Friday 17th! 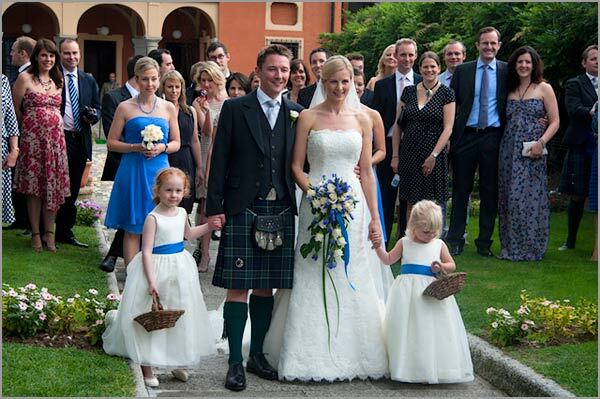 Nicole and Euan’s wedding was held in the romantic garden of Villa Bossi in Orta San Giulio. 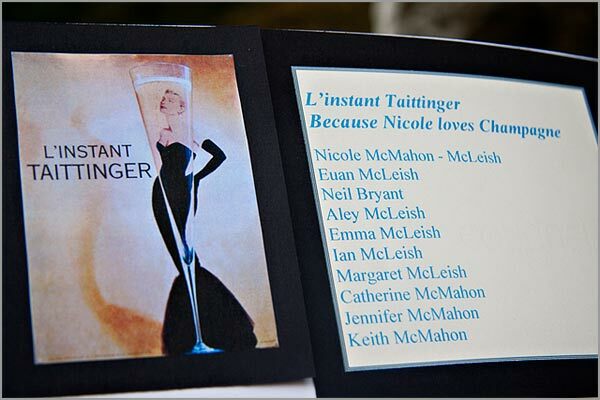 Nicole’s color scheme was white and blue because she loved blue but also to celebrate St. Andrew’s Cross Scottish flag. 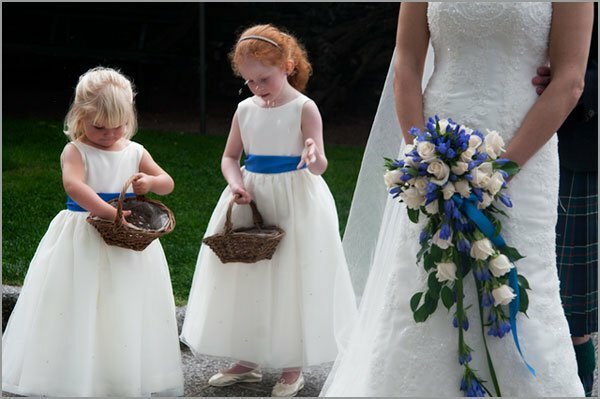 White and blue were just everywhere: in bridesmaids and flower girls dresses and in all floral arrangements. Have a look to Nicole’s bouquet, a long teardrop bouquet with white roses and blue gentianas. To our couple who decided to not care about Friday 17th Italian superstition our best wishes for a new life full of joy and happiness! 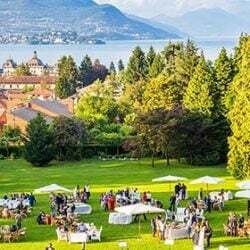 Images © Italian Lakes Wedding. All right reserved. ← A special centerpiece with red fishes!